The Town of Creighton is located in North-East Saskatchewan bordering the Saskatchewan - Manitoba division, and the City of Flin Flon. According to Statistics Canada, the Town has a population of 1,402, making it the third largest municipality in Northern Saskatchewan. Creighton has an interesting and diverse history starting with the opening of the Hudson Bay Mining and Smelting Company in 1928. With this mine operating on the provincial boundary between Saskatchewan and Manitoba, both provinces were able to benefit from the development. 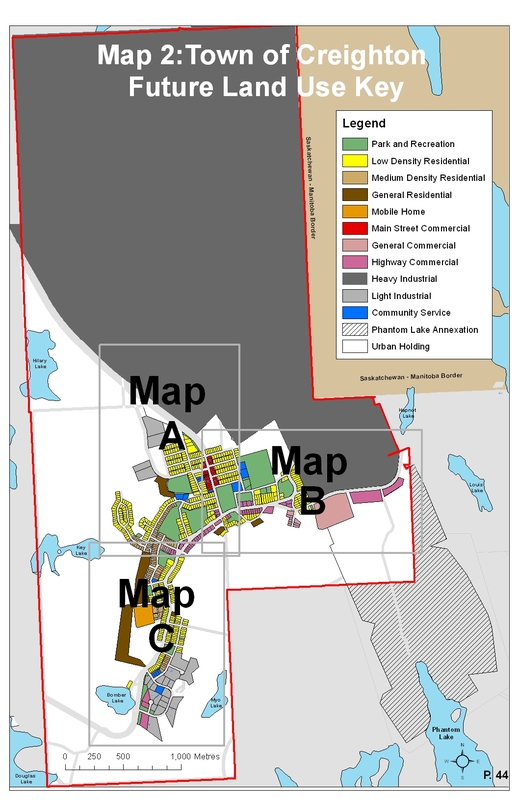 Under the Planning for Growth North program, the Town of Creighton adopted a new Official Community Plan and Zoning Bylaw, which came into effect on June 4, 2012. 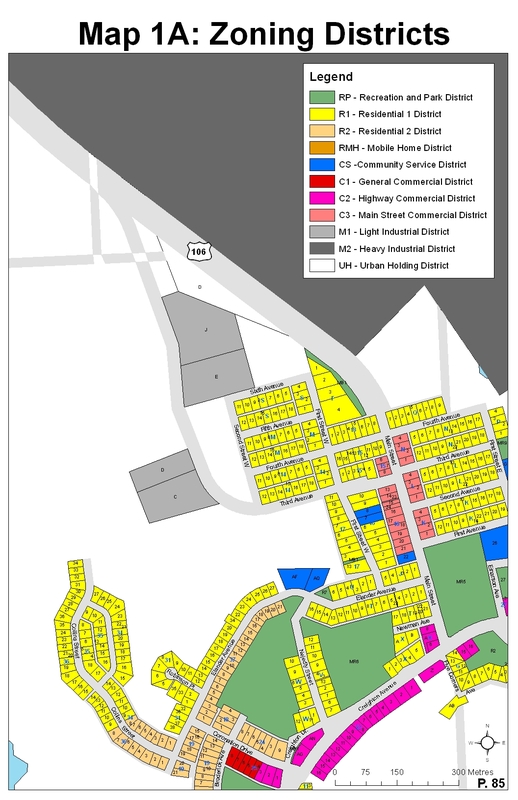 Zoning Bylaw (2019): The Town of Creighton is the process of updating their Zoning Bylaw, and have prepared a draft Zoning Bylaw and Maps. The subsequent Use Table is not an official part of the Zoning Bylaw, but does provide a quick snapshot of which uses are allowed where in the community. 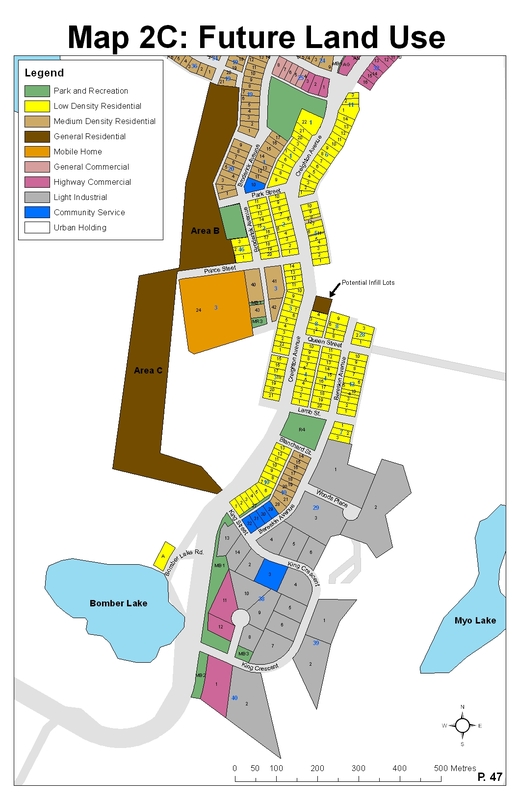 Official Community Plan (2011): Creighton was one of the first northern communities to participate in the Planning for Growth North Program, and adopted their Official Community Plan in 2011, with Ministerial Approval given on June 4, 2012. The implementation process is underway and the vision within this plan is directing all future development within the municipality. 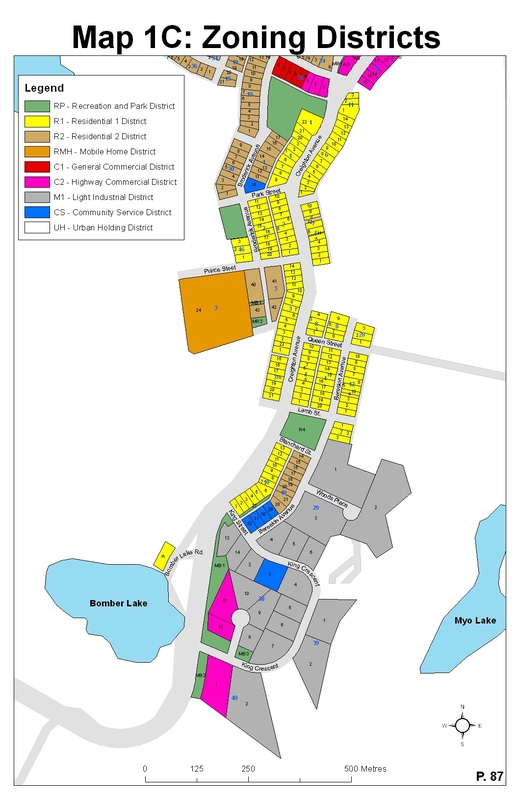 Zoning Bylaw (2011): This document, also adopted in 2011, outlines the regulations associated with building and development within the municipal boundaries of the Town of Creighton. The regulations and standards enforced through this document allows for the consistent implementation of building and development within the municipality. 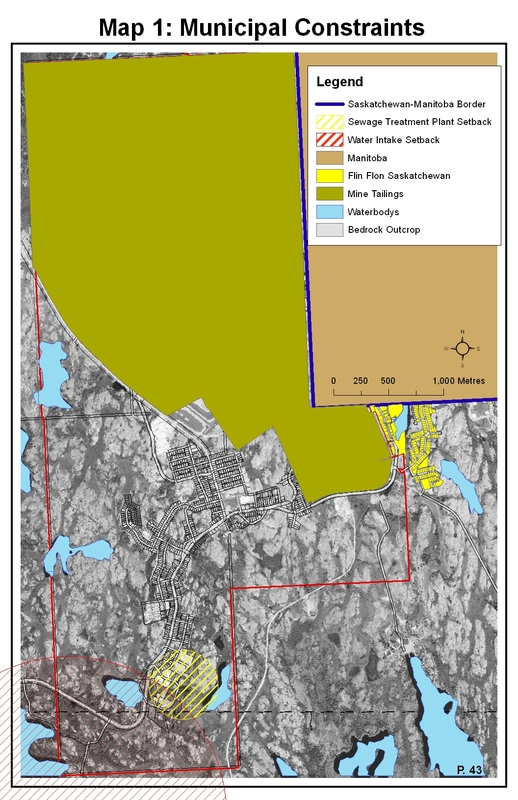 Municipal Constraints Map (2011): There are certain areas within the municipal boundary of Creighton that is unsuitable for future development because of existing infrastructure, areas set aside as buffers between land-uses, or natural impediments, such as muskeg or rivers. This map identifies where these constraints are and directs development to more suitable areas. 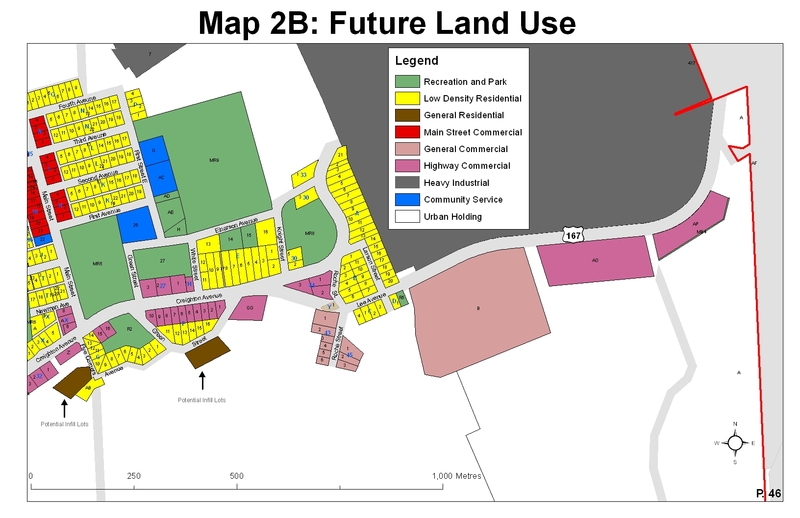 Future Land Use Key - Map 2: Provides an overview of the entire municipality and the location of the forthcoming maps. Future Land Use - Map 2A: This map shows where future development would be most ideal in the Northwest portion of Creighton. Future Land Use - Map 2B: This map shows where future development would be most idea in the Northeast portion of Creighton. Future Land Use - Map 2C: This map shows where future development would be most ideal in the Southern portion of Creighton. 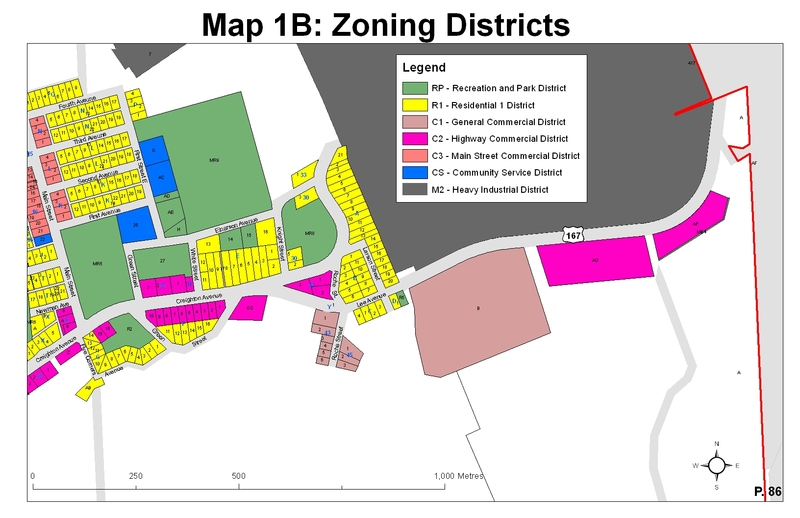 Zoning Districts Maps (2011): The Zoning Bylaw is about the implementation of regulations that control building and development within the Town of Creighton. By having certain districts agglomerated in certain areas there is less likelihood for opposing land uses and frustration between property users. These maps show the different districts within the municipality. Zoning Districts Key - Map 1: Provides an overview of the entire municipality and the location of forthcoming maps. Zoning Districts - Map 1A: This map shows where the zoning of future development would be most ideal in the Northwest portion of Creighton. Zoning Districts - Map 1B: This map shows where the zoning of future development would be most idea in the Northeast portion of Creighton. Zoning Districts - Map 1C: This map shows where the zoning of future development would be most ideal in the Southern portion of Creighton. Development / Building Permit Application: When landowners, residents, or developers want to build, adapt, or update physical structures on properties this form must be completed and submitted for approval before proceeding with the development. Home-based Business / Bed and Breakfast Permit Application: Within the Town of Creighton, the Zoning Bylaw states that home-based and bed and breakfast businesses must be approved by leadership to ensure that the business does not interfere within the residential neighbourhood. This application form can be filled in and submitted to the Development Officer. Notice of Decision: When the development or building permit application is decided upon by the Development Officer in Creighton, the following form will be provided back to the applicant explaining the decision. Basic Planning Statement (1987): Prior to the Town of Creighton completing their Official Community Plan through the Planning for Growth program, a Basic Planning Statement was completed back in 1987. This document was approved by the Community Planning Branch and outlined the direction of development within the community at that time. Zoning Bylaw (1987): Prior to the Town of Creighton completing their Official Community Plan and thereby adopting a new set of Zoning Bylaws, this Zoning Bylaw created in 1987 outlined the implementation standards within the municipality. 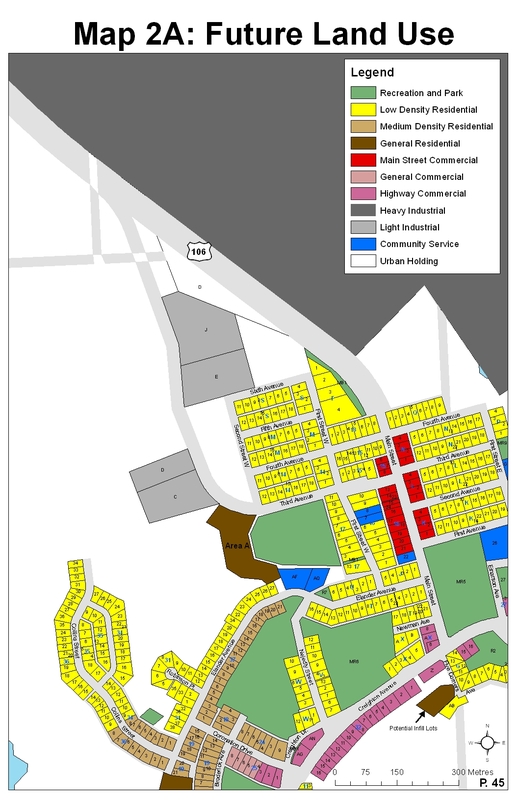 Planning Study (1976): In order to develop an appropriate Basic Planning Statements, the Town of Creighton hired UMA Ltd., to review the existing situation within the municipality and propose where future development should occur and contribute to a successful Basic Planning Statement.